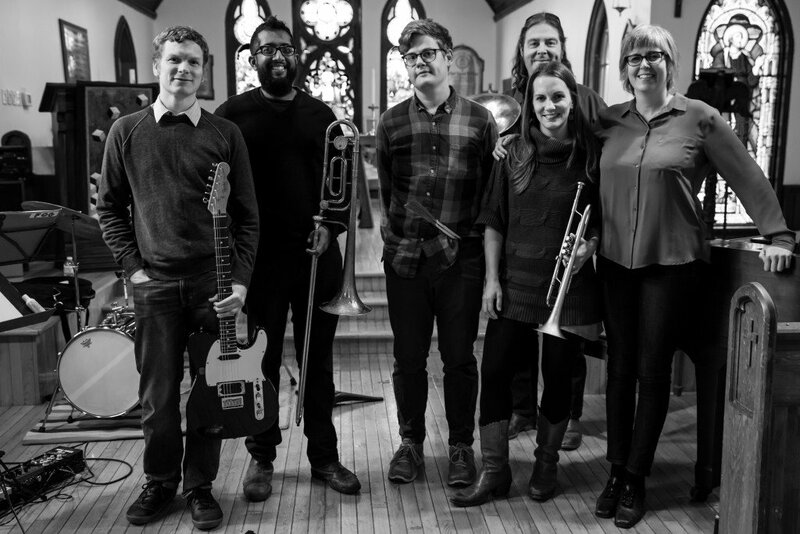 In July 2016, Rebecca Hennessy’s FOG Brass Band was nominated for both the Montreal Jazz Festival’s Grand Prix de Jazz and the Galaxie Rising Star Award at the Halifax Jazz Festival. Immediately following this tour, FOG recorded their first full-length album, Two Calls, funded by the Ontario Arts Council and Canada Council for the Arts. FOG performs Rebecca’s original music, which merges the traditions of New Orleans party brass bands, Balkan folk music, country blues and high-energy jazz-rock together. These songs, in all their diversity, evoke her myriad musical and extra-musical influences, and feature Toronto’s most creative and exciting improvisers.